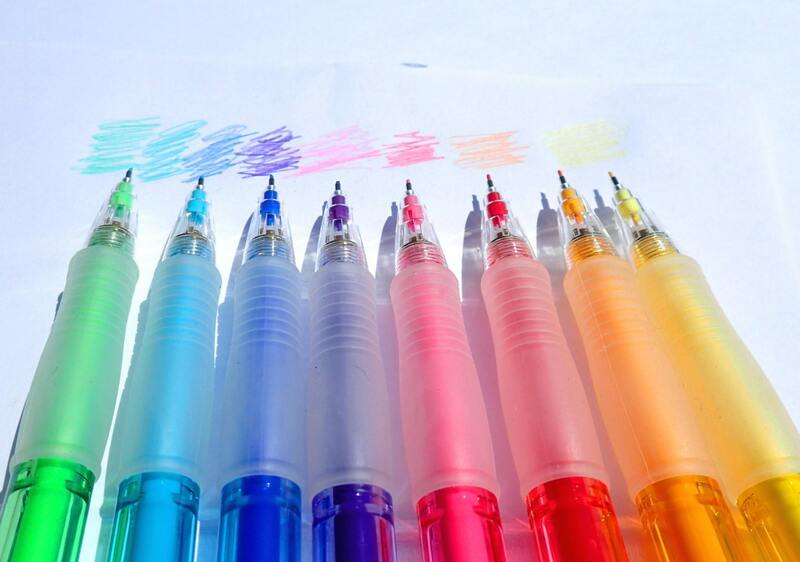 This is a set of 8 different colors of mechanical pencils. 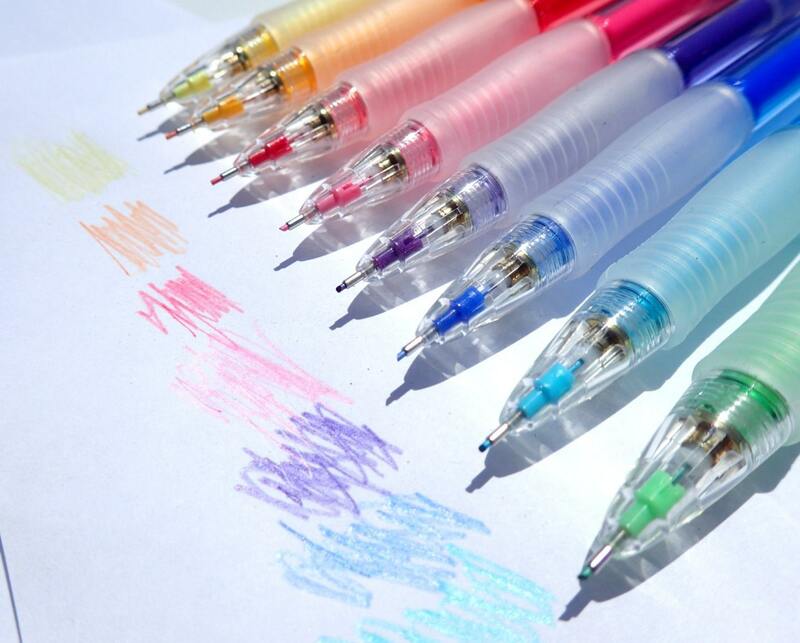 These pencils are made by PILOT. They are the Eno 0.7mm. The colors are: yellow, orange, red, pink, violet, blue, soft blue, and green. These pencils are each 15cm long. 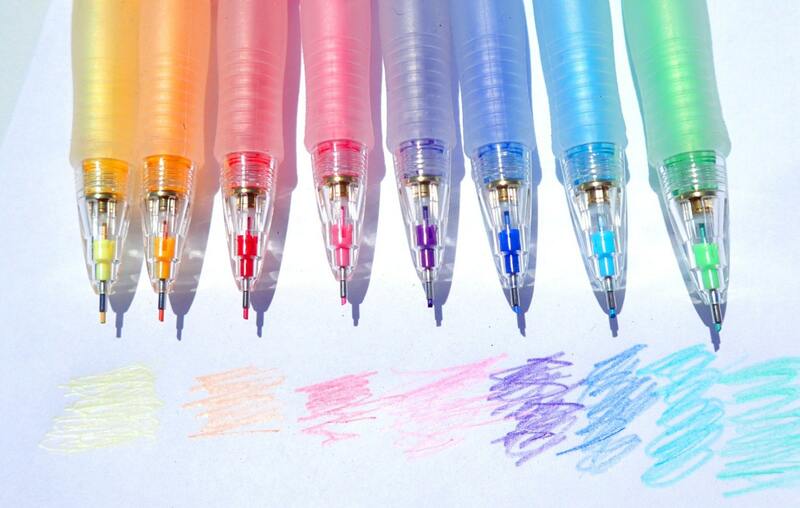 They include an eraser at the top, that has a plastic cover on it, so that you can erase your mistakes! 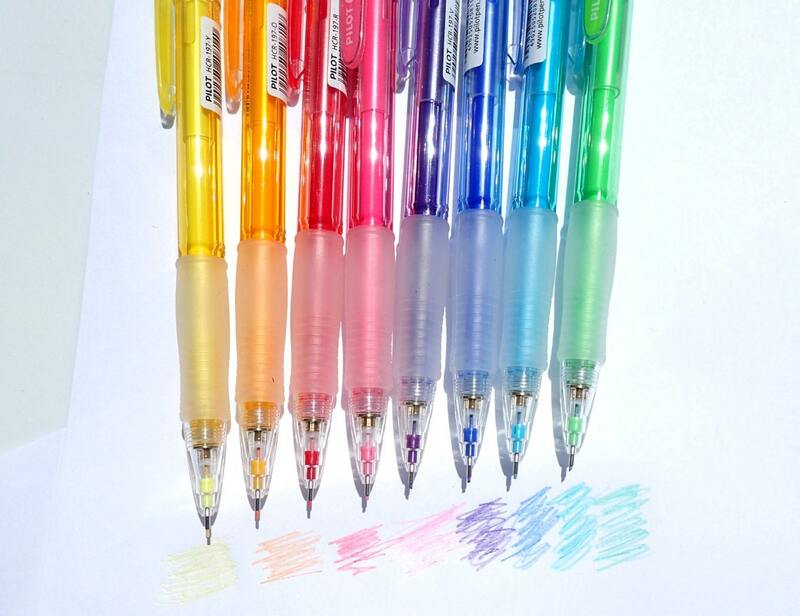 There are 2 extra leads in each pencil.